Now that fall is drawing to a close, we are happy to share with you this Fall 2017 issue of “By the Numb3rs”. In it, you can read about recent developments in the Department of Mathematics as well as some accomplishments by our students and faculty. We are pleased to announce that Professor Brent Doiron was awarded a prestigious Vannevar Bush Faculty Fellowship, Professor Piotr Hajlasz was named a Fellow of the AMS, and post-doctoral associate Chengcheng Huang was awarded the selective Swartz Foundation Fellowship. We are excited to welcome some talented additions to our department this year; see the “People” section featuring our new faculty and staff members. We are proud to highlight a recent Pitt mathematics major, Dr. Suren Jayasuriya, who is now doing cutting-edge, interdisciplinary research at Arizona State University. You can also read about Victor DeCaria, a current graduate student who worked during the summer at the Bettis Laboratories as an intern. Our Undergraduate Math Club has been highly active this fall, and we have described some of their activities related to virtual reality in the classroom. There are a lot of exciting events coming up this spring in the Department of Mathematics. 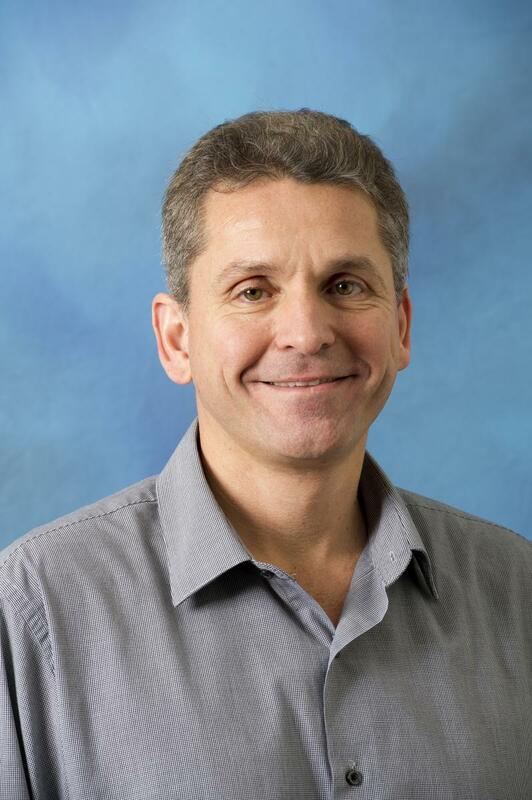 These include our annual Edmund R. Michalik Distinguished Lecture in Mathematics to be held in March, featuring Dr. Martin Nowak of Harvard University, who is a world expert on evolutionary dynamics. In June, we will host “From the Fundamental Lemma to Discrete Geometry, to Formal Verification”, a conference in honor of Thomas C. Hales on the occasion of his 60th birthday. As always, please keep in touch and use the “Stay in Touch” section to fill in any news you would like to share with us. We would love to hear from you! Visit our web page www.mathematics.pitt.edu for information on how to contact us and for the latest news about the Department. We hope that you enjoy the newsletter, and we wish you all of the best for the new year! 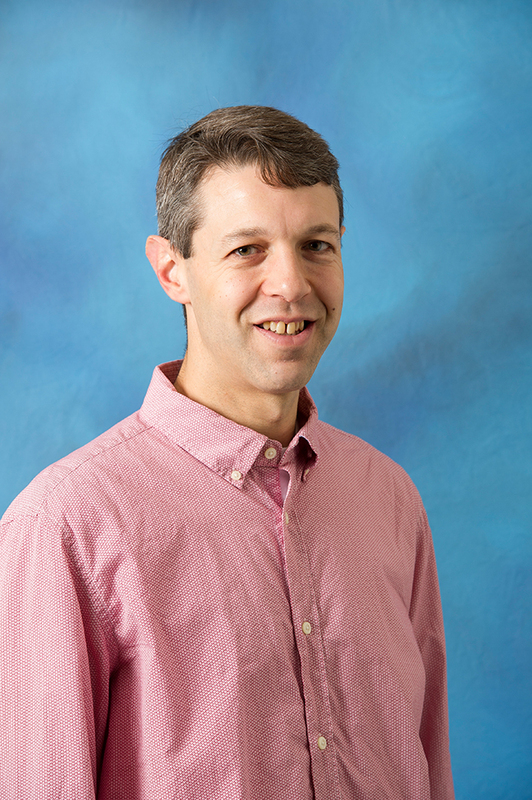 As Dr. Jonathan Rubin steps into his new role as Department Chair we’d like to say a very special Thank You to Professor Ivan Yotov for his 10 years of service to the University of Pittsburgh, Department of Mathematics as Department Chair. During his 10 years Ivan has been an excellent leader and champion of our Department. As Chair Ivan worked closely with many people but in particular our Departmental Administrator and Undergraduate and Graduate Directors, who can attest to the type of man he is -- calm under pressure, supportive, open to new ideas and overall just a great person to work with. Two areas where Ivan has had a major impact deserve special mention. The first is the formation of the Mathematics Research Center (MRC). The MRC, organizes conferences and workshops, along with other research related activities. The department has held more than 40 conferences since the MRC started in 2012. These bring top mathematicians to Pittsburgh, and promote our research within the math community. For example this past May we hosted an international conference on: `Nonconvexity, Nonlocality and Incompatibility: From Materials to Biology’. Over a hundred mathematicians from all around the world participated. The invited speakers alone included people from France, Germany, Greece, Italy and Israel. Ivan was key to getting the grant that lead to the MRC, and was the one that negotiated with the administration to expand and continue it. A second area Ivan has had a big impact is hiring. During his time as Chair he hired 21 new faculty members – more than a third of all current math faculty. As a direct result of these and other initiatives, the Math Department’s rankings have risen significantly during Ivan's tenure as Chair. So that today we are ranked in the top 25 Math Departments in the nation. When I was an undergraduate in the 1980’s, I decided that being a math professor had to be the best job in the world. First of all, professors get paid to solve math problems; what could be better? Second, professors get to assign homework problems to others rather than having to do them themselves – what a relief! Third, I figured: a few hours in the classroom, a couple of office hours, and a professor’s work week is done. And furthermore, professors get to work on a college campus, with all of its amenities and no bosses breathing down their necks. Well, by the time I was finishing graduate school, I knew that I had been wrong about some things but right about others. It turns out that doing homework is more fun than grading it. Also, professors do have “bosses” after all – in the sense that they are expected to write annual reports, teach the courses that they are assigned, and support the university’s agenda. And most significantly, faculty members do so much more than teach and hold office hours; besides grading, developing, and updating course materials, there are long hours spent puzzling over research problems, reading research papers and texts, writing papers and proposals, reviewing the works of others, mentoring graduate students and postdocs, performing a wide range of service duties at the university and (inter)national levels – the list can seem endless. Still, I think that I was right: being a math professor is the best job in the world! Fast forward to 2000. Then-chair John Chadam greeted me in his office as I arrived to start my new faculty position at Pitt and I thought, “Wow, it’s amazing to be here – but I’d hate to be in his shoes!” At the time, I couldn’t imagine why anyone would want to be department chair. Why trade in freedom and research time for a life of reports, deadlines, and responsibility? 17 years later, and here I am, sitting in that same office, except now it’s mine and I’m the chair. So what did I get right and wrong this time? Being a department chair does involve reports, deadlines, and responsibility; all of that is true. But, in my time at Pitt, I have come to appreciate that being a department chair is a great opportunity to serve the university that has supported much of my professional life and to help guide our department’s continued advance along the path of excellence. In this vein, we already have a variety of initiatives underway, some of which you can read about in this newsletter and others that I look forward to sharing with you in the future. 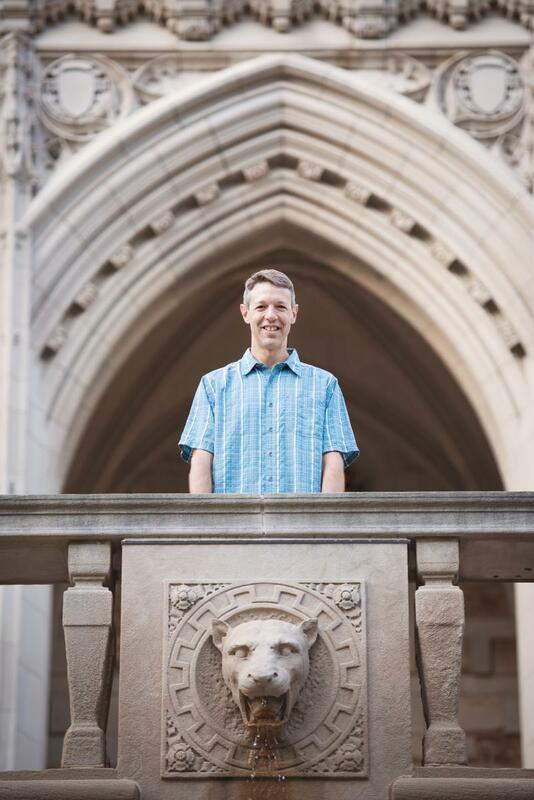 It is an honor to have taken over as chair of the Department of Mathematics at the University of Pittsburgh after a decade of strong leadership from Ivan Yotov, and I am excited to share our progress with you! The brain can be a pretty noisy place. 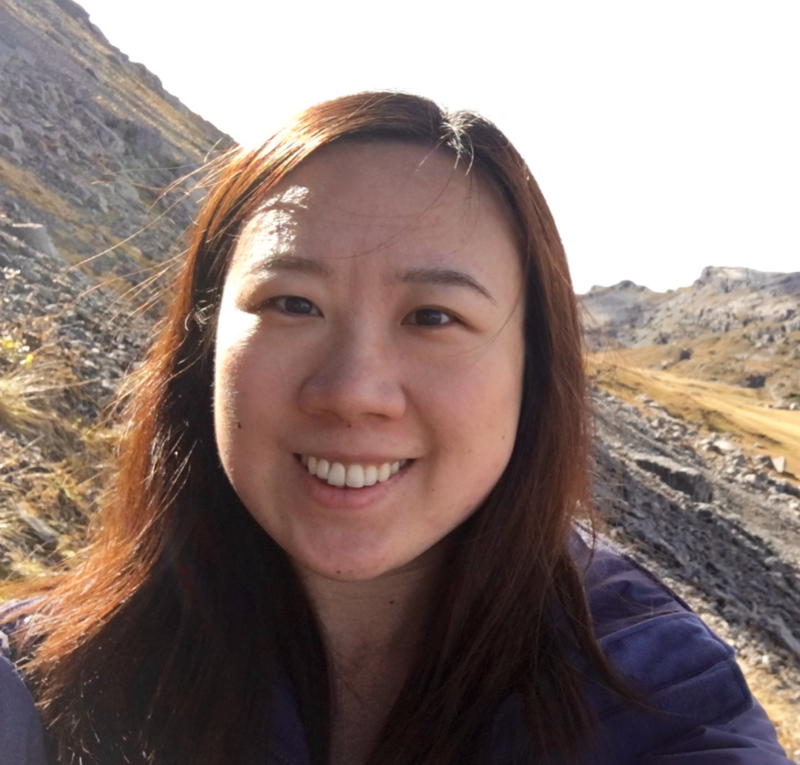 Chengcheng Huang, a postdoctoral research associate in the Department of Mathematics, is one of just two individuals in the United States awarded the Swartz Foundation Fellowship. Huang will receive an $100,000 award for the first year of the fellowship and could see it renewed for a second year. Huang, a computational neuroscientist, studies neuron networks to model how the brain perceives information from the external world. In particular, she focuses on perception of pitch in hearing.